The FTX290 is an important addition to our line of purpose built high performance mulching tractors that range from 100-600HP. The FTX290 is sized and powered right in the middle of our tractor lineup at 290 hp. 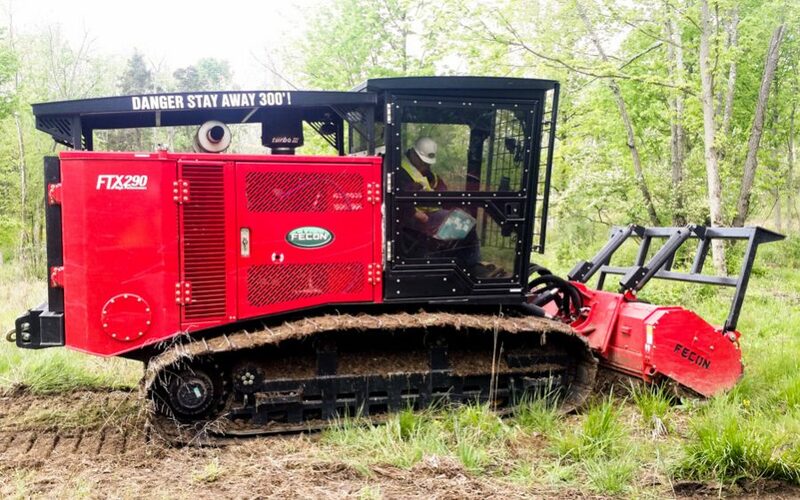 While sized for large-scale mulching and land clearing jobs, the FTX290 nimbly fits into tighter job sites and it is a legal load in most areas. Cleaning and periodic services are performed quickly on the FTX290 with exceptional access points. Tanks are equipped with large clean out ports for thorough draining and cleaning. It has a wide rear door access to the cooler, radiator, and reversing fan. The transfer pump mounted on board will keep oil clean when servicing. The exhaust and intake are well guarded from debris and the elements. The FTX290 features a spacious cab, ergonomic operator controls, and durable construction. Its cab offers legroom and comfort with a standard adjusting suspension seat. Two side doors and standard roof hatch safely provide three points of egress. The cab windows are a polycarbonate material on all sides with optional thickness to meet local regulations. On board diagnostics allow operators system control for maximum production and efficient management of power. 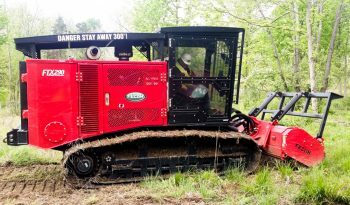 Fecons optional SH400 Stump Hog is also available for the FTX290, providing versatility for the jobsite.